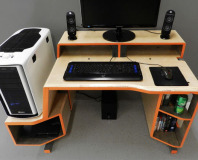 Show us your gaming zone to be in with a chance of winning. We've got 50 beta keys to giveaway for Terra Militaris, a new historial MMO. Compete for your chance to win a boatload of super-powered goodies, including copies of City of Heroes!